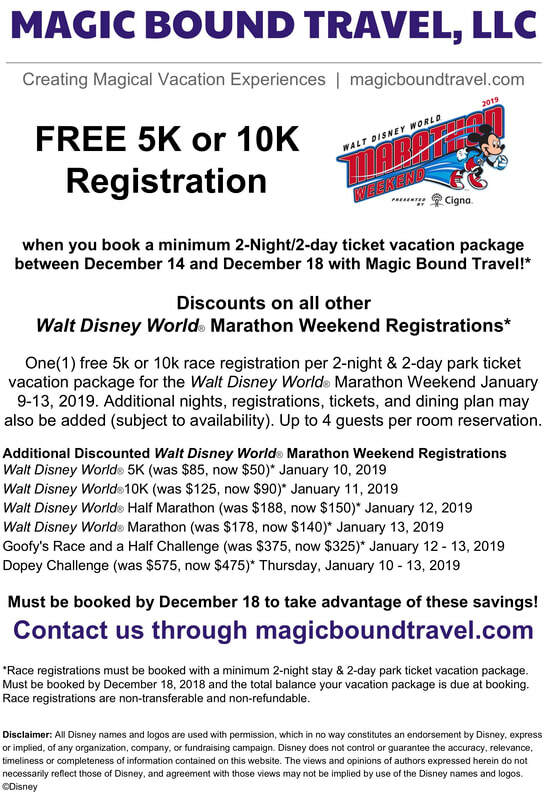 Below you will find details on 2019 Walt Disney World​ Marathon Weekend race packages provided by Magic Bound Travel, LLC. Check out our current promotion! Submit the form below to receive your free quote. Book by Tuesday December 18, 2018 to take advantage of these savings. Minimum 2-Night Stay at a Walt Disney World Resort. Only Disney's Pop Century Resort and Disney's Coronado Springs Resort have special race weekend rates (up to 4 people per room). One day visit to your choice of the following: Disney’s Typhoon Lagoon Water Park, Disney's Blizzard Beach Water Park, Disney’s Winter Summerland Miniature Golf Course (before 4pm), Disney’s Fantasia Gardens Miniature Golf Course (before 4pm), Disney’s Oak Trail Golf Course for one round of golf (greens fee additional), ESPN Wide World of Sports Complex. ​Additional Registrations, Tickets, and Dining Plan may also be added (subject to availability). Please note that race registrations are non transferrable and non refundable. The cost of the race registration(s) and a $200 room deposit* are due at time of booking. Includes registrations for both the Walt Disney World Half Marathon and Walt Disney World Marathon, which is 39.3 miles in two days. By completing both races you will be awarded the Goofy medal in addition to your Half Marathon and Marathon finisher medals. Four days and 48.6 miles of magical running! 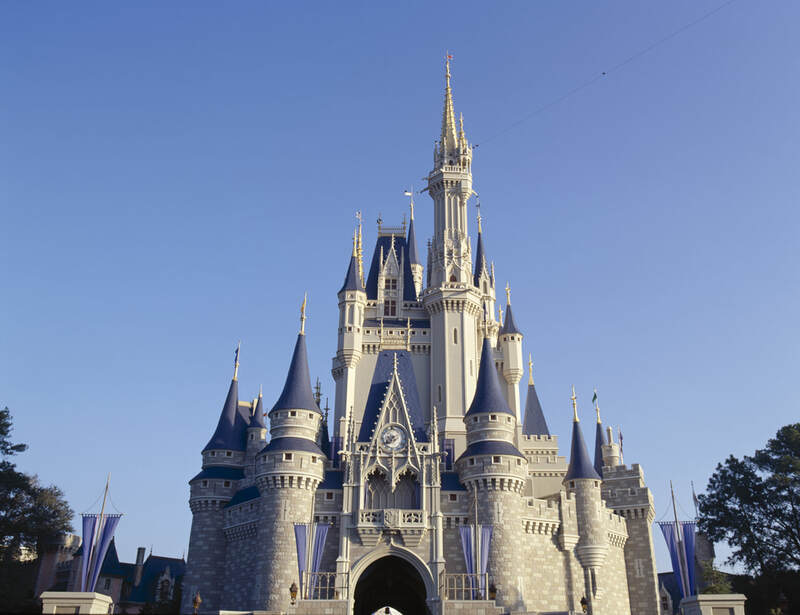 Includes registrations for the 5K, 10K, Half Marathon and Walt Disney World® Marathon. 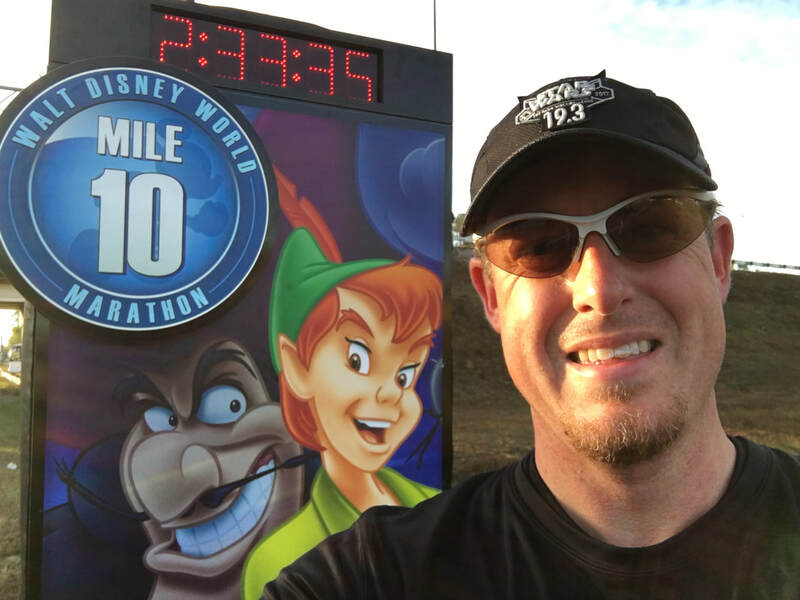 By completing all four races you will be awarded the Dopey Challenge medal and the Goofy Challenge medal in addition to your 5k, 10k, Half Marathon, and Marathon finisher medals - six pieces of incredible race "bling" to celebrate an epic accomplishment! *A 3.5% processing fee will be added to your race bib purchase, which is not included in prices above. Please fill out the form below so we can offer you a free no-obligation quote for your 2019 Walt Disney World​ Marathon Weekend package.